BUFFALO, N.Y. — The University at Buffalo ranks 59th among U.S. universities for research and development (R&D) activity, according to new data from the National Science Foundation (NSF). Among the nation’s public universities, UB ranked 39th and is the highest-ranked public university in New York State. UB’s annual research expenditures topped $400 million for the first time in the 2016-17 fiscal year, totaling $401,591,000 according to the NSF’s Higher Education Research and Development (HERD) Survey. The report, released on Nov. 20, measures R&D spending at the nation’s universities. The data includes funding awarded to researchers by external sources, such as the NSF and National Institutes of Health, as well as institutional spending on research. UB’s growing R&D activity benefits Western New York by creating and supporting jobs for highly skilled workers in fields that range from medicine and the life sciences to law and the humanities, and by increasing demand for goods and services, many of which are purchased locally. In addition, as funding for clinical trials goes up, more patients in the Buffalo Niagara area are getting the chance to enroll and gain access to new, exciting and potentially breakthrough treatments. 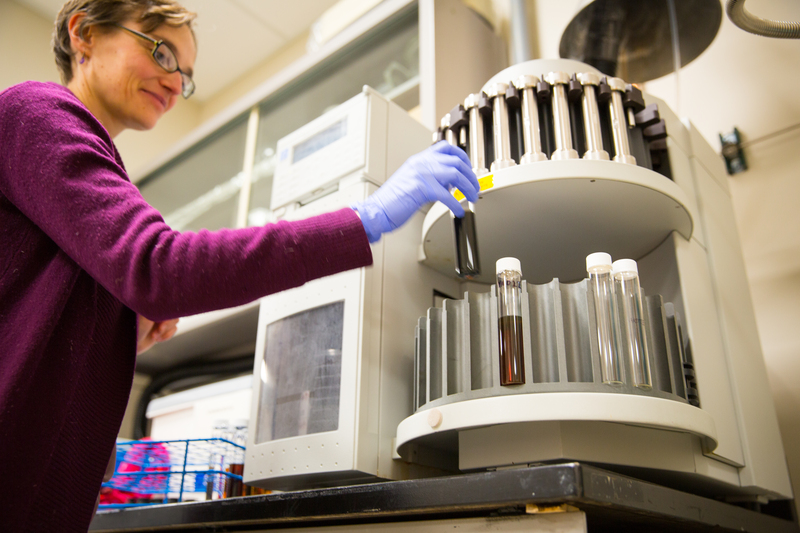 Research at UB also enables students to gain valuable experience, working alongside faculty on cutting-edge projects that address some of society’s most pressing problems. Close to home, UB investigators are studying topics such as pollution in the Great Lakes and urban development in cities that have lost population in recent decades. Nationally and globally, they are engaged in the study of climate change, disaster resilience, drug and alcohol addiction, trauma, human rights, immigration and much more. They are conducting research that could lead to better treatment avenues for diseases ranging from obesity and diabetes to Alzheimer’s and Parkinson’s. They are also doing groundbreaking work in basic science and in the humanities. According to the NSF report, UB’s spending in science and engineering, including social sciences, totaled over $386 million in the 2016-17 fiscal year. Nearly $94 million was spent on engineering research and over $16 million on computer and information science, leading UB to be ranked 30th and 29th, respectively, among U.S. universities for research activity in those areas. Expenditures in non-science fields such as education, humanities, law and the arts totaled more than $15 million. According to the NSF survey, data “were collected from a census of 903 universities and colleges that grant a bachelor's degree or higher and expended at least $150,000 in R&D” during the 2016-17 fiscal year.